When a Quaker eccentric named David Richardson purchased the farmhouse known as Wheelbirks a couple of miles SW of Stocksfield in the 1880s, he set about stamping his mark on the landscape around his new home with some verve. He died in 1913, and managed to leave several points of interest for us to enjoy today. The latter, I think, is a metaphor for life, in typically Quaker-ish style you may say. 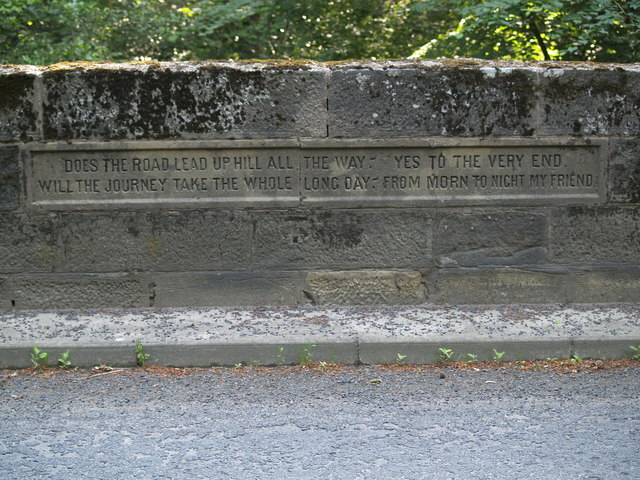 But Richardson left loads of these little inscriptions all over the place – in his estate cottages, on roadside walls and on seats in the woods. I have no idea how many more, if any, of these can still be found today, but a decent list of those which once existed can be found here (and scroll down a bit). 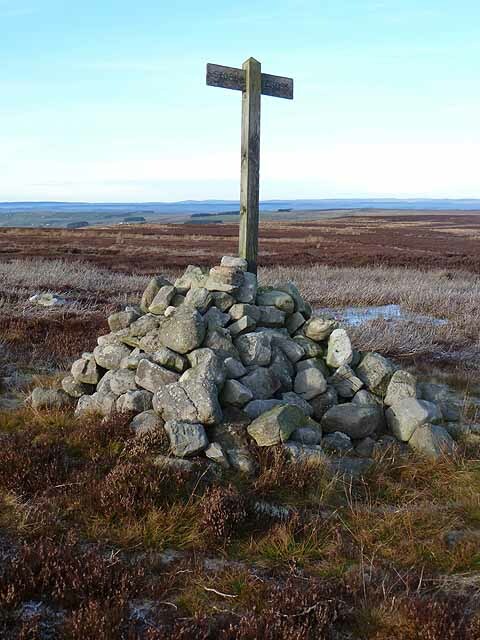 High on the moors to the east of Allendale Town can be found not one, but two little landmarks by the name of Stobs or Stobb Cross. The most northerly of the two seems to be the oldest of the pair, represented, as it is, on OS maps in ‘Old English’ style text, and the other appears to be a more modern creation. So who, or what, exactly was the mysterious ‘Stobb’? … and Stobb Cross 3 miles to the south. One would at first assume it was the name of a historical person, but it seems not. For one thing, there is no apostrophe in “Stobs” and, well, if you think about it, the name ‘Stob(s)/Stobb(s)’ does seem to pop up quite a lot in placenames – mainly out-of-the-way, lofty spots, to be precise. ‘Stob’ is, in fact, a Middle English word meaning ‘stub’, ‘post’ or ‘stump’. 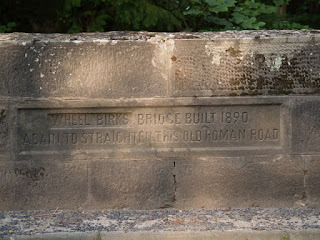 This could mean that as an originally substantial stone cross or column deteriorated over time it came to resemble a stump, and was labelled thus by the locals – hence ‘Stobb’ Cross. Just to confuse matters, though, in Gaelic, ‘Stob’ means a small peak – so there’s another possibility for you. 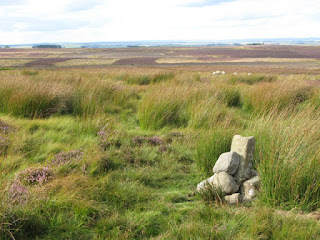 The northerly effort (top picture) – being, we think, the oldest – is no more than a medieval waymarker for wandering folk, possibly starting life as a boundary stone. The fact that it seems to have traces of two cup-and-ring marks in the stubby shaft probably means that it was harvested from some other prehistoric monument. As for the other more substantial structure, there is no evidence that it was once a prehistoric burial cairn, as has been suggested, and is probably just another wayside marker. For the record, both are shown on the 1865 Ordnance Survey map, with exactly the same spellings. 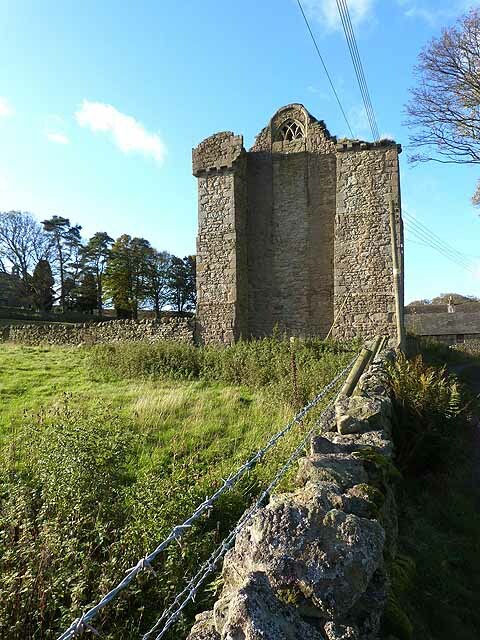 A surprisingly substantial ruin lies in the grounds of the present-day Priory Farm on the northern edge of the hamlet of Muggleswick, Co.Durham, very near to the Northumberland border. It is in one very real sense a bit of a rarity, yet in another quite frustrating way an almost complete mystery. It has come to be known as Muggleswick Grange, though that in itself is a bit of a guess – and, hey, we have to call it something. But the fact is that this feature in the landscape has been called many things over the years: a monastery, a grange, a hunting lodge and the curiously named ‘prior’s camera’. Now, I suppose, it is a farmyard folly. Unlike its modest status today, Muggleswick was clearly once a very important place indeed. Its place-name suggests an ancient founding, certainly; and it is mentioned in the 1183 Boldon Book. It had been owned by the Bishop of Durham, but by 1183 was the property of the Prior of Durham – though the Bishop still retained local hunting rights, as well as much of the surrounding countryside. Brother William of the priory built a ‘large house’ (possibly of timber) sometime before 1229; then Prior Hugh de Derlington erected what was described as a ‘camera’ (a large vaulted stone building) either next to or on the site of William’s house in the1250s/60s. It is the remains of this construction that we see today. The prior’s influence seems to have grown over the years, and the burgeoning estate would have been managed from this building – essentially amounting to a sprawling animal ranch to support the Prior of Durham, as well as providing a hunting ground, of course, for various high-ranking officials. A 1464 document lists a hall, chapel, grange and dairy at Muggleswick, though they seem to have been in a state of decay. And so the decline, we assume, continued until the Dissolution, and thereafter through the reuse of much of the masonry for nearby stone buildings. There is little in the way of documentary evidence to enable us to accurately chart its long and gradual decline into what we see today – but it remains a very rare example of its kind: a substantial ruin of a monastic grange from the medieval period. It is Grade I Listed. On the edge of Edmundbyers’ village green at the very heart of the old settlement can be found a curious fragment of our past: a neat little set of water troughs and milk-stands. They sit, protected by a stone wall, facing the main thoroughfare, and hark back to the simpler times of our distant, pre-motorised past. 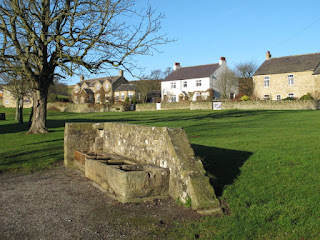 The troughs – possibly fed by pipe –were, I suppose, the ‘petrol stations’ of their day for passing horse traffic; and the milk-stands enabled the local dairy farmers to place their churns out for collection. not a great deal has changed. One of the North-East’s most picturesque villages, Blanchland sits quietly in a fold in the moorland landscape near the head of the Derwent Reservoir. 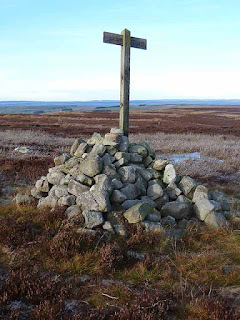 It is situated on the Northumberland side of the nearby border with County Durham and gets its name from the order of ‘White Canons’ – the Premonstratensians – who settled there in the twelfth century. The religious order obviously had its abbey, and, though there isn’t a great deal of this left today, a sizeable chunk of the complex forms the present-day Lord Crewe Arms, one of the most famous inns in the region. Essentially, the former abbot’s guest house is understood to have occupied the building utilised by the paying public today; and the pub’s garden was once the abbey’s cloisters. The abbey was dissolved in 1539, and the old buildings found themselves in the hands of, firstly, the Radcliffe and then the Forster families – it essentially becoming a manor house, used regularly to host upper class hunting parties. When the Forsters fell from grace thanks to their Jacobite tendencies, Lord Crewe, Bishop of Durham, took over the reins. And this is, of course, where the establishment’s name comes from. And though he died within a few years of his takeover (1721), he left the estate to the Lord Crewe Trustees – in essence, leaving it to charity. Then came the leadminers, and the general growth and prosperity of the village. The old manor house then became a pub, pretty much out of necessity, and, in time, the site developed into the impressive inn we see today. And though it doesn’t openly boast about it, the Lord Crewe Arms has quite an interesting history – much of it surprisingly recent. Quite apart from being able to hark back to the days of the White Canons and their abbey, ex-owners the Forsters brought infamy upon the place when ‘General’ Tom Forster hid in the establishment’s giant fireplace during the Jacobite rising of 1715. The Blanchland days of this infamous family are also recalled in Walter Besant’s historical novel, Dorothy Forster. 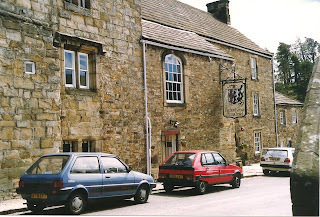 Then there is the rather well-known W. H. Auden, who stayed at the Lord Crewe Arms at Easter 1930, remarking that “no place held sweeter memories.” Auden and Christopher Isherwood’s play The Dog Beneath the Skin (1935) may have been partially set in the village, too. 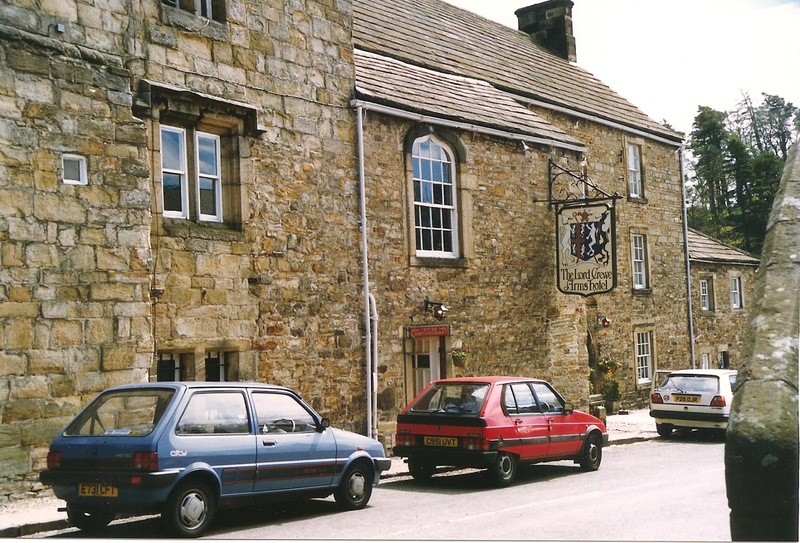 Poet Philip Larkin is also known to have dined at the Lord Crewe Arms; and in 1969 Benjamin Britten and tenor Peter Pears stayed at the inn. 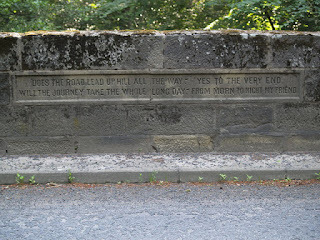 Needless to say, that due to its timeless beauty, TV and film cameras have made regular use of Blanchland’s byways – from Catherine Cookson dramas to recent children’s fantasy effort Wolfblood – so you may well have seen the old pub pop up on the small or silver screen from time to time. And to add to all of this, the inn is, of course, haunted – by not one but three ghosts (at the last count, that is). See here for a full account of the spooky goings-on at this fantastic old place.